Decorating couples room with these novel Pakistani bridal room decoration 2018 for the wedding night ideas will complete up your wedding ceremony in an absolute way. 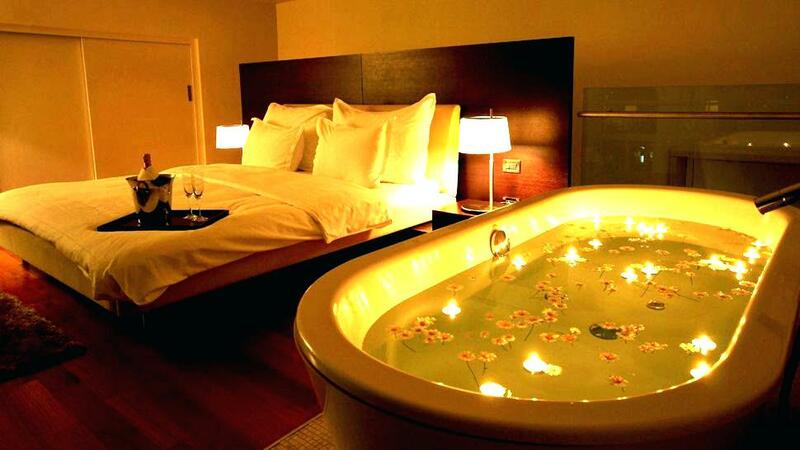 Wedding night is the night of love as its the first night for the newly married couple to be together all alone. 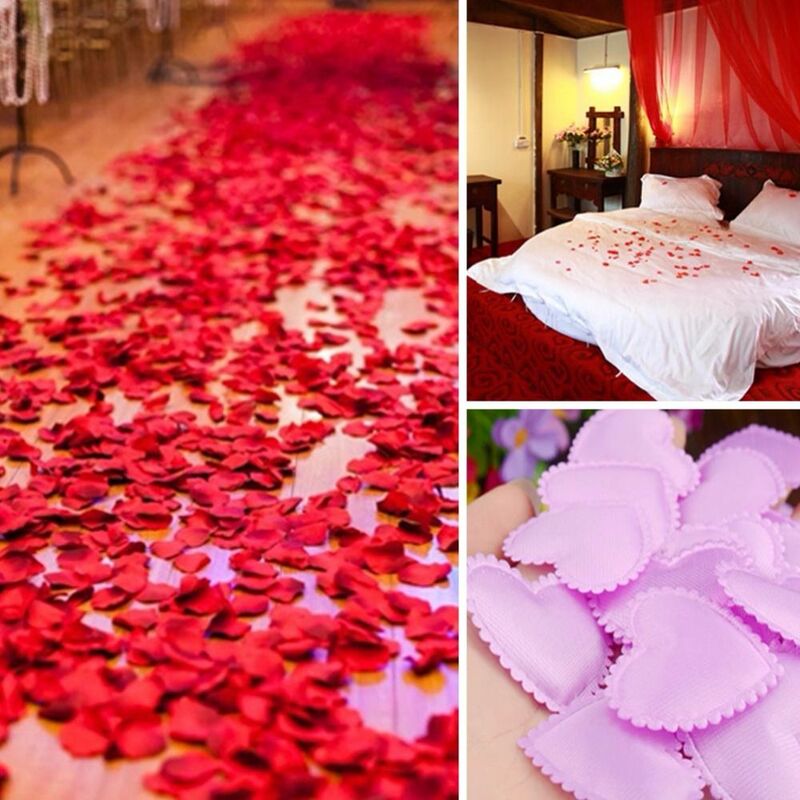 The wedding room decoration shows the love of groom towards his bride from the core of his heart. 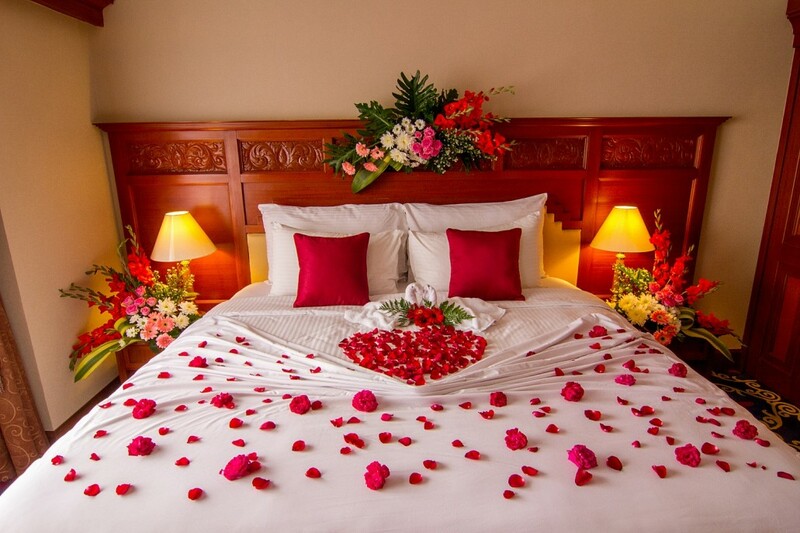 So wedding night for the soul mates should be enhanced with beautiful furniture, masehri designs, floral art, and other stylish ideas that will generate a precious and pleasurable relationship. On the wedding twilight, room decoration can be done in so many compelling ideas to create an impression on the bride and the guests. 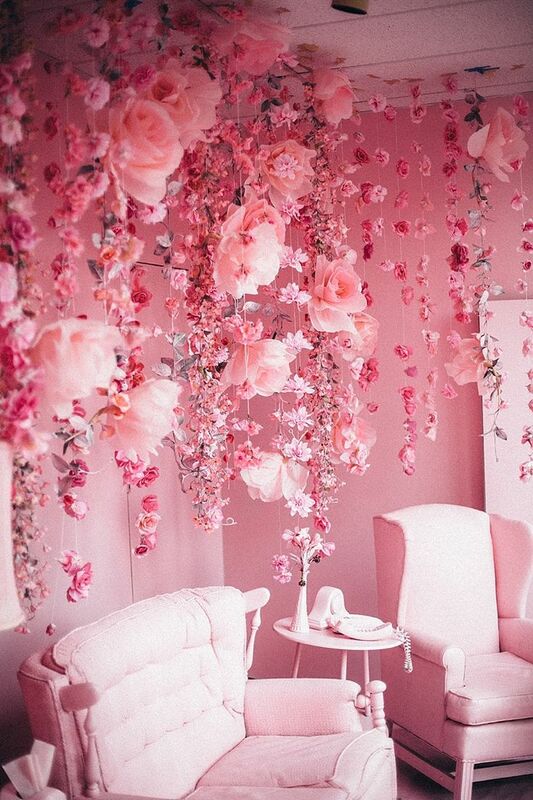 As it is the most important night for both the bride and groom so the room should be designed in a ravishing way. Designating the room in beautiful and lovely ways will give comfort to the newly married couple to reveal their love to each other. 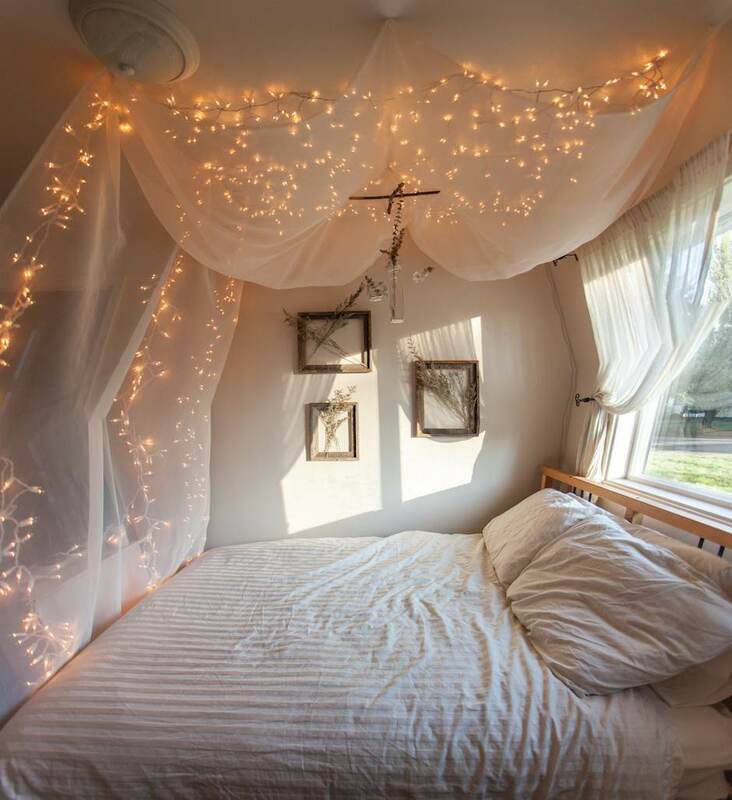 The bride would not only be happier to see her room decorated but will have good thoughts about the new family whom she is going to spend her life with. 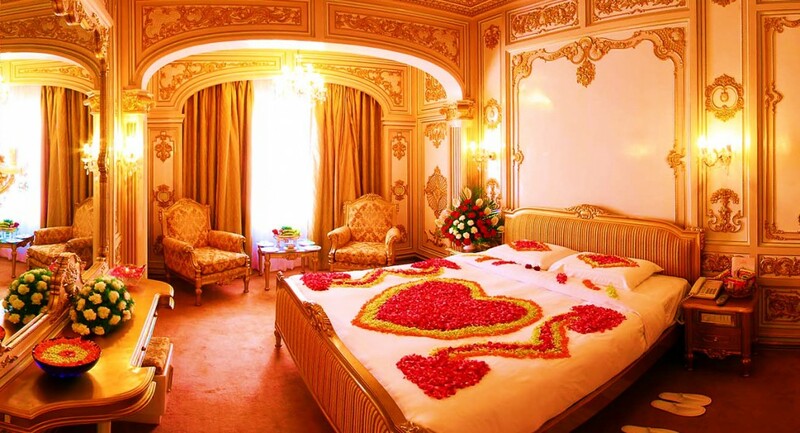 Bridal room decoration for the couple is not only a Pakistani tradition but tailgated by many other Asian countries either. First wedding night is the most exceptional memory for the couple as they have a romantic and lovely conversation with each other. The personal moments on this night can never be forgotten in their lifetime. 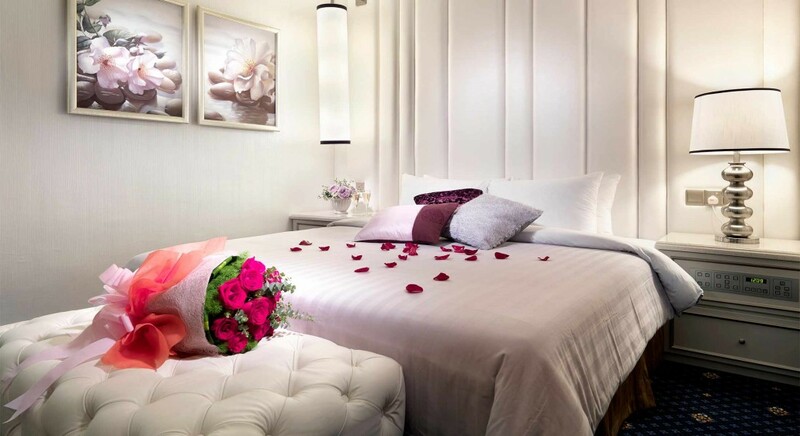 Besides all other arrangements for the wedding ceremony, bridal room decoration should be focused to make her first night with the groom a comfort zone. Bridal hands full of wedding mehendi designs and a beautiful gold ring with a diamond on top are the first things the groom look towards on the wedding day. Whether you want to embrace the room with simple, floral or extra hot style, the styleglow team has managed all modern ideas to give it a unique look. Pakistani bridal lehenga is mostly in red and is perfect for the wedding night to make it more matching with the romantic bedroom decoration. 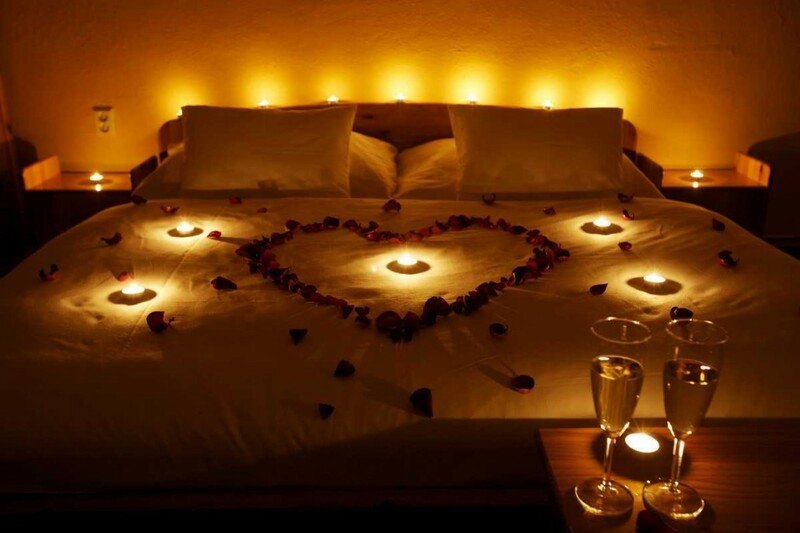 There are lots of things to consider when decorating a bedroom for a wedding night or even for some other special day. Size and shape of the room, color preferences, personal style, budget, furnishing, and many other details that complete a rooms view. Candle lights can me much romantic and inviting at wedding night and it creates a charm. Bedrooms can be decorated by taking the brides mind into consideration because her satisfaction is the first preference that the groom has in his mind. Bridal makeup design should also be compelling so that during the wedding night the groom gets inspired after looking at her face with love. The most adopted wedding night decor method is the masehri style. 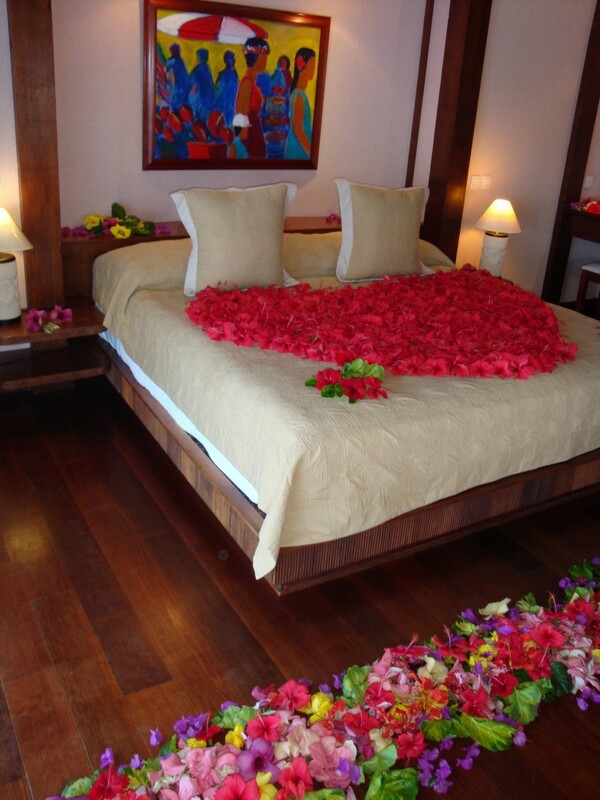 It is composed of curtains that are matching with the bedsheet and followed by random flowers or mostly red roses. 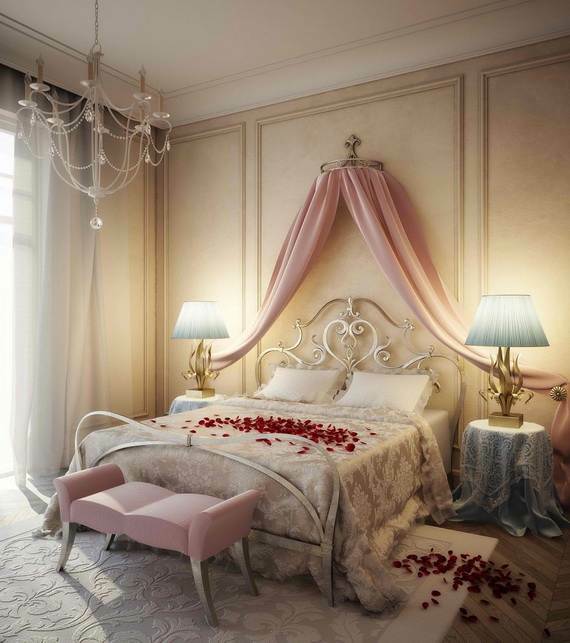 The theme of this bedroom decorating technique is to fill up the bed area with more and more carving and lovely blueprints to make it charming for the couple. 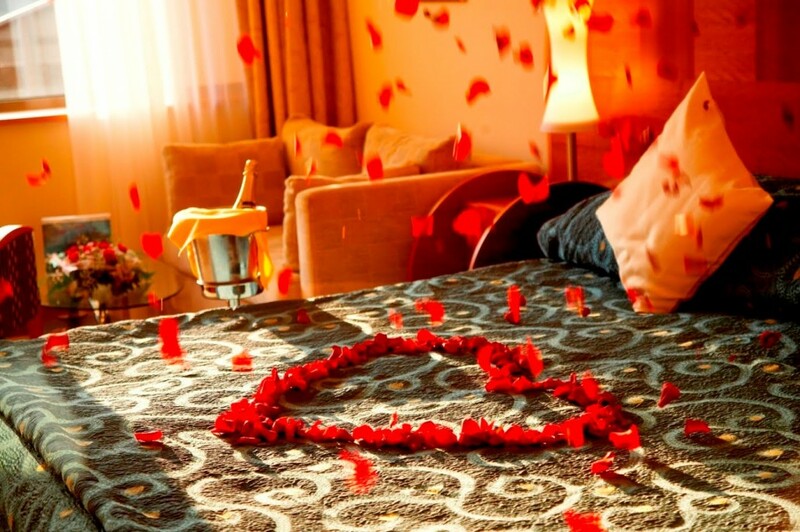 You can think of perfumes, candles, and potpourris to make the room more romantic but keep in mind the most important thing that a romantic room needs a confident romantic heart to get things going. Also, don’t forget the hairstyles for weddings to stay in trends. 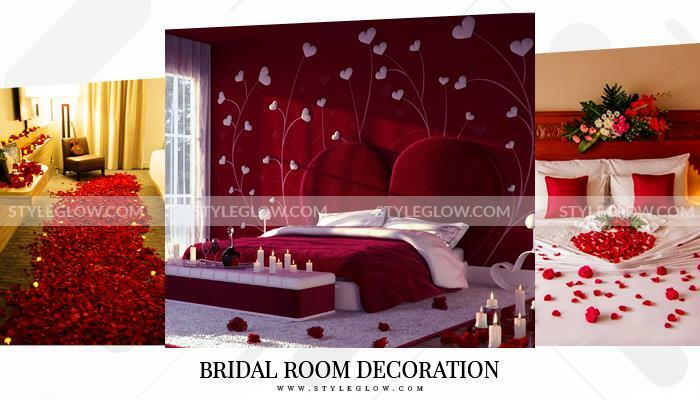 Bridal room pics and designs are also gossiped by many ladies after the wedding night. 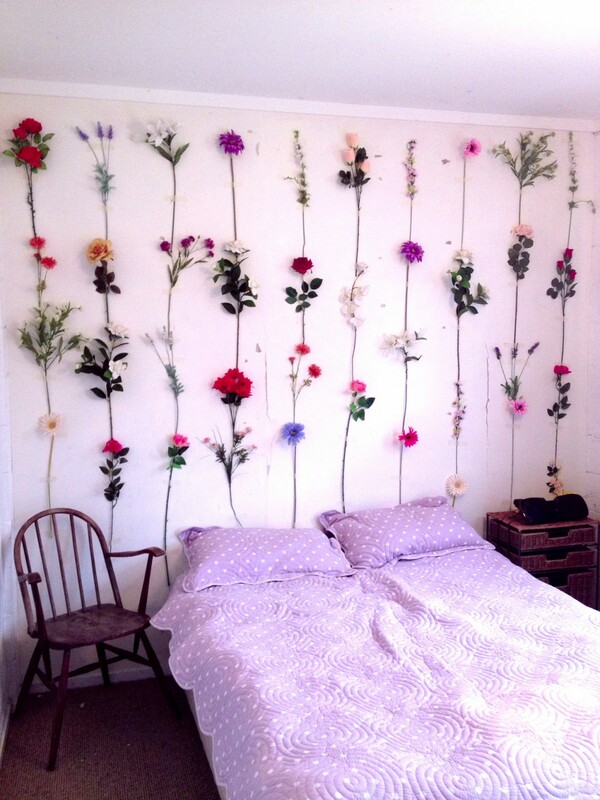 So choosing flower technique to decorate the bedroom will create a mark on other peoples minds. 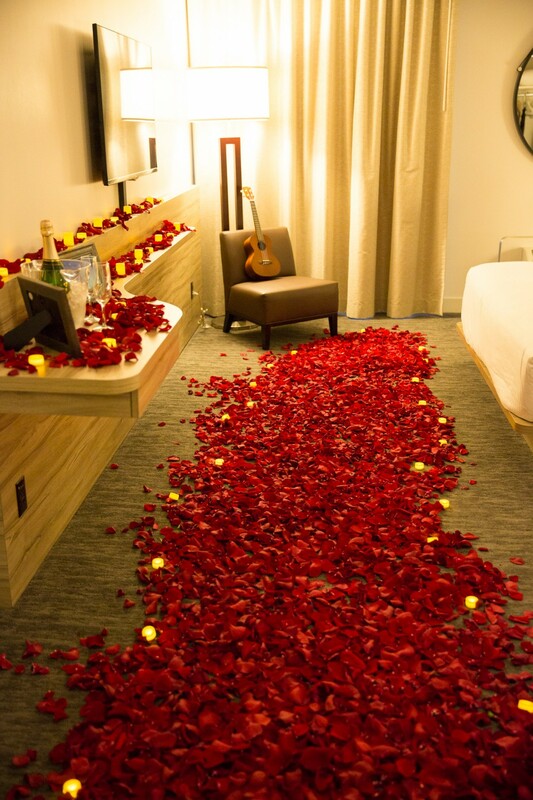 placing random colored candles especially in red color with arousing fragrance and petals of roses surely will be an exceptional way of approaching the bride on the bed. 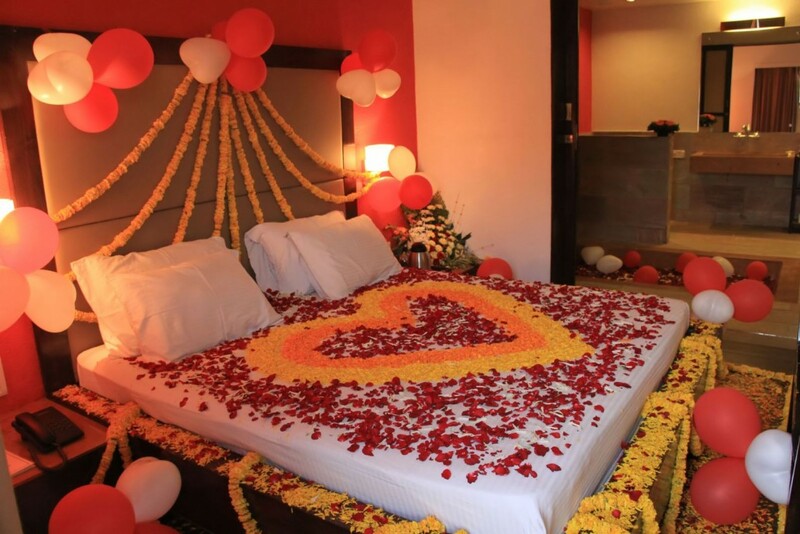 Jasmine flowers and Red Roses are most preferred with bouquet places in vases around the bed but any decoration idea can be adapted to make this day full of romance. 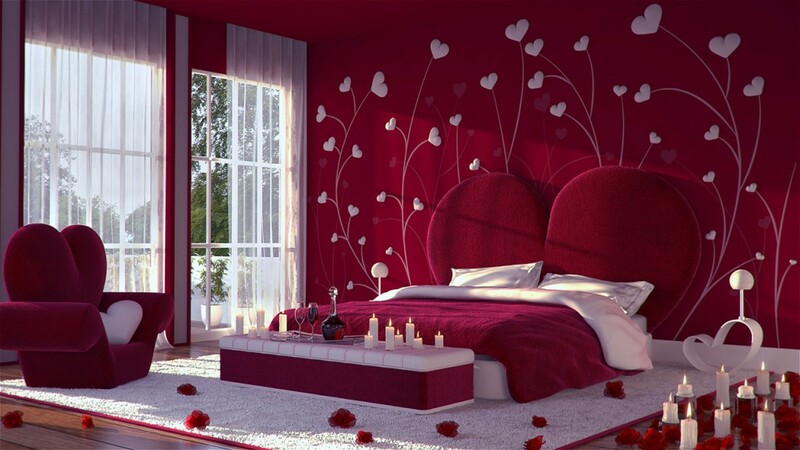 Gripping a couple’s bedroom with Pakistani bridal room decoration 2018 for the wedding night will create a great start for the newly married duos. 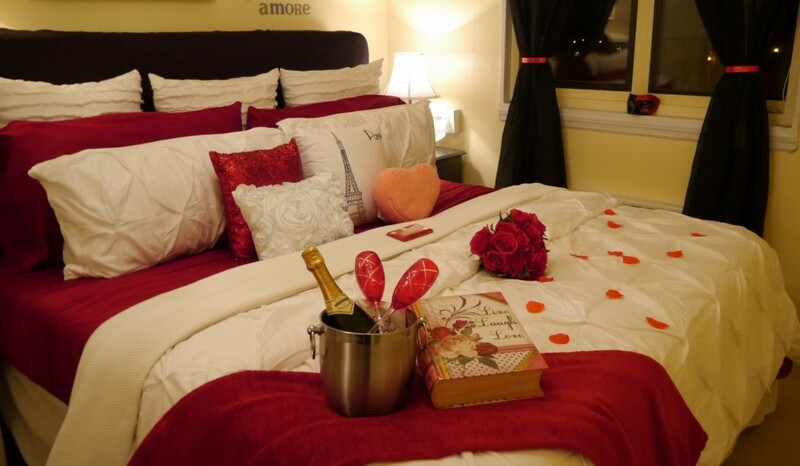 Any technique can be applied from masehri to a simple bed full of roses and romantic red balloons. 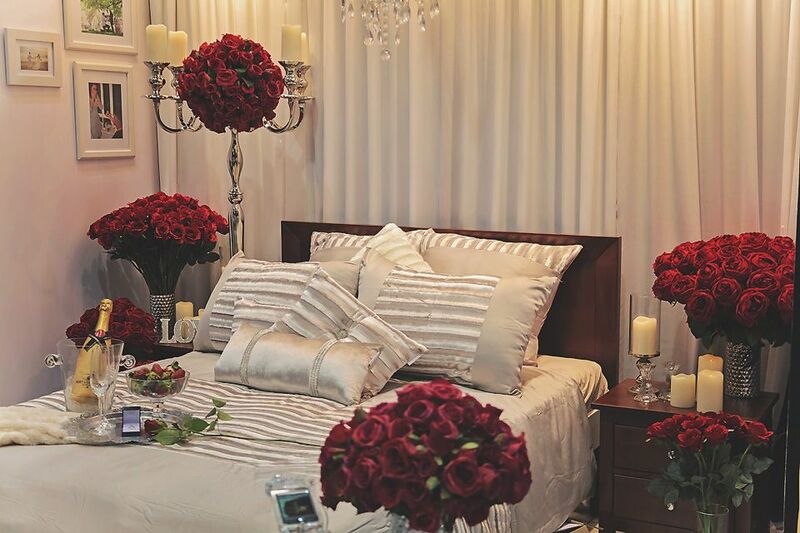 So by decorating bedrooms by choosing from these layouts will add that romantic spice to your wedding night.